This year, I decided to make him a piñata cake that I found on Pinterest. 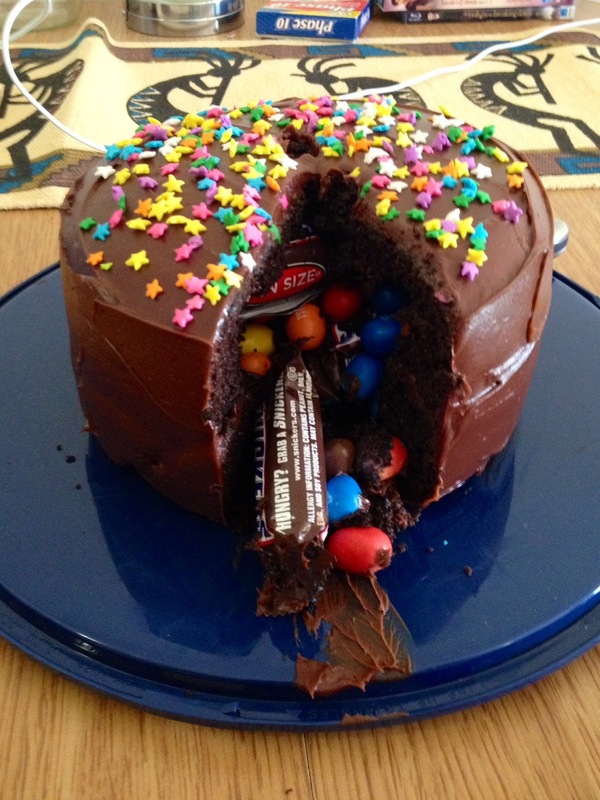 This is the original link I followed, if you want to check it out: A Subtle Revelry: Piñata Cake. I didn't change much about the cake, but I only used 1 box of cake mix instead of the two suggested. Since we've been traveling a lot, I didn't want the cake to go bad. This was the perfect size for 4 people to each have a slice, and then to have two pieces left over. To start, bake your cakes! 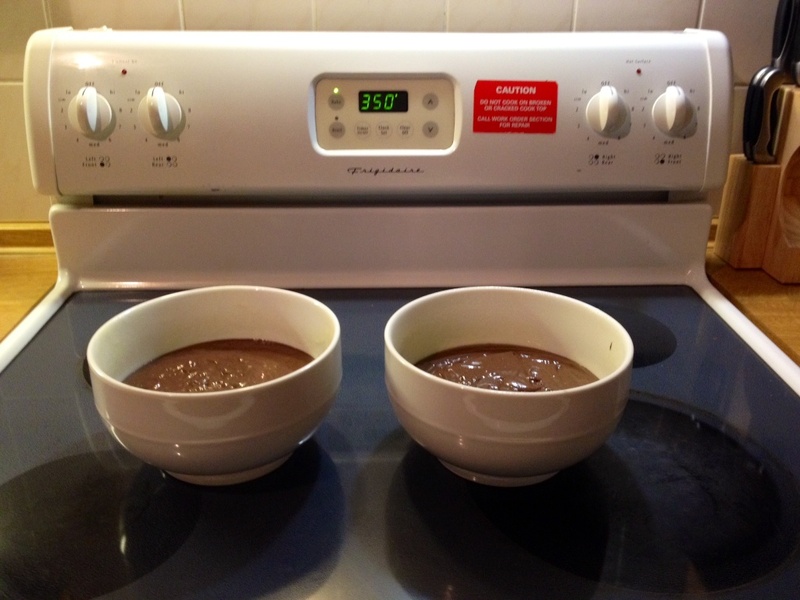 You can do this in oven-safe bowls, like me. Or, you can bake any shape you want too. Whatever floats your boat. I followed the directions on my box of mix, but the cake took a bit longer in the oven. I suggest keeping an eye on it, testing occasionally for doneness. Once done, I let the cakes cool and then turned them out onto a plate. Scooping out the inside of each cake was fun! Be careful not to cut through your cake though. If you do go too deep, you can repair the tear with a little bit of icing. If you're super thrifty (like me! 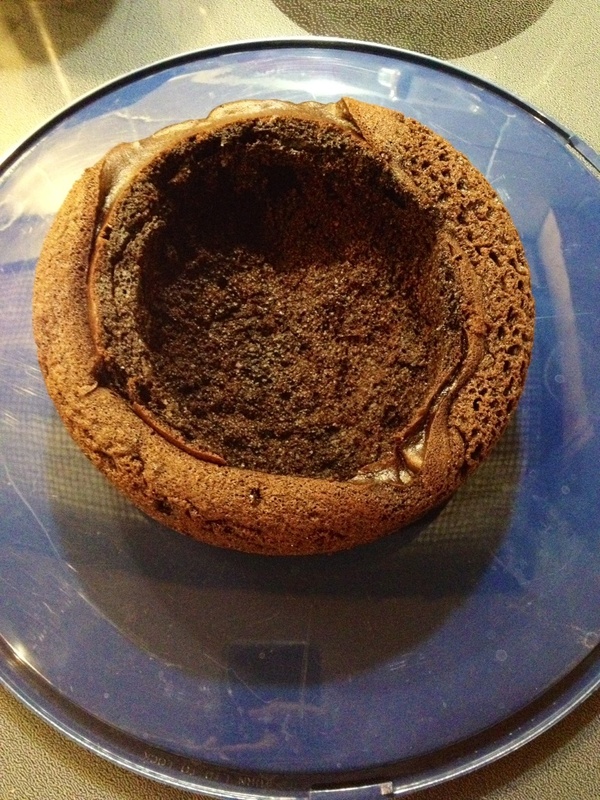 ), you can save the cake filling for cake pops. These are very basic to make: mix together your cake filling with a bit of icing, then roll into ball shapes. Place on a wax-paper lined cookie sheet and freeze until hard. Then, one at a time, dip the cake balls into some melted chocolate and return to the freezer until hardened. See, easy peasy! So, back to the piñata cake. 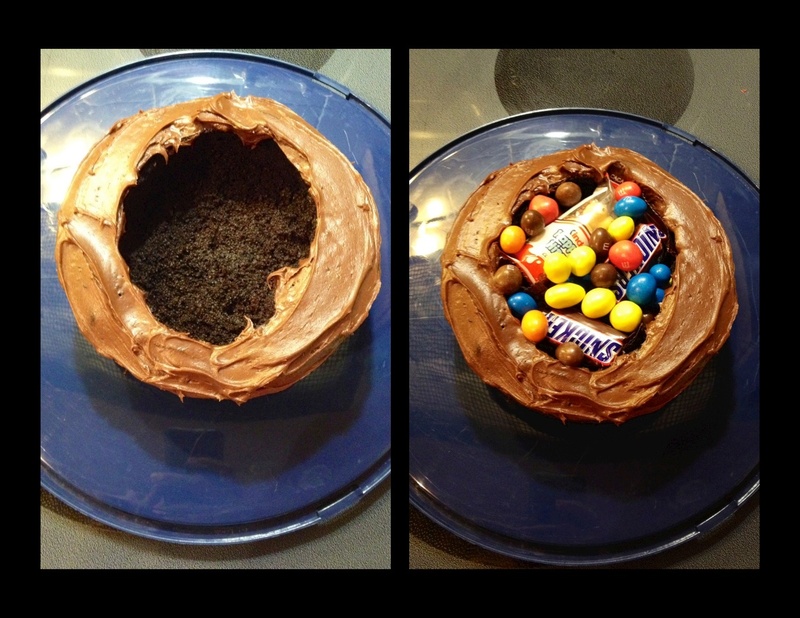 After you're done scooping out the inside, ice the edge you've left and fill the hole with your favorite candy. I chose Snickers bars and peanut M&Ms for the Hubs. Next, put the other half of your cake on top and ice it all. I like to do a thin layer of icing first, then refrigerate it, and then do the final icing. You can do it however you want. Oh, and I totally added some sprinkles to the top! 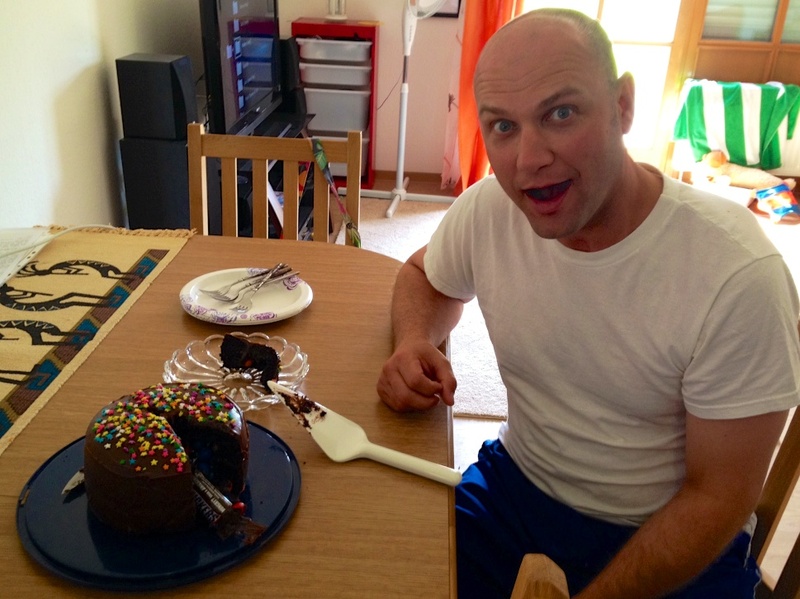 The Hubs looked a little disappointed when he first saw the cake… he's used to getting a more elaborate looking cake for his birthday. But then, he started to cut the first piece and he was totally surprised by what he found inside! 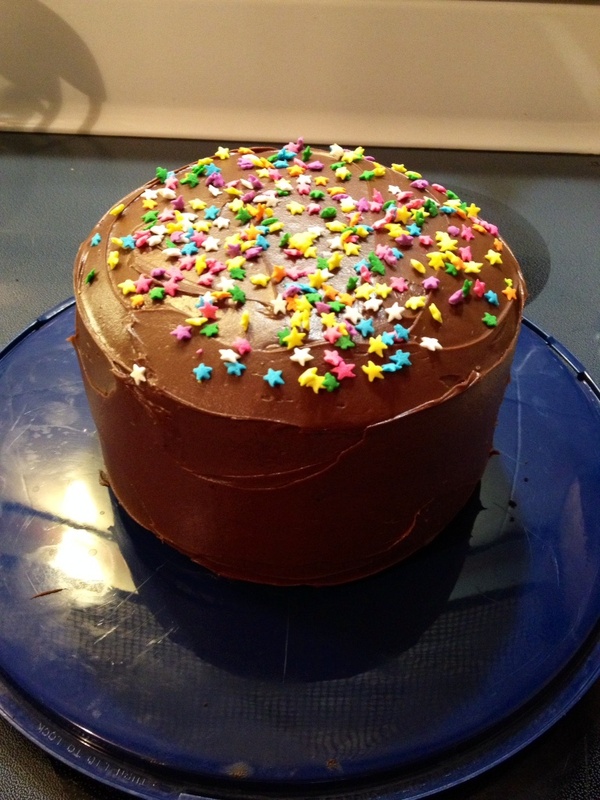 This piñata cake was fairly simple to make, and was a big hit at our house. Definitely a Pinterest success! Have you tried any cool Pinterest cakes that you'd like to share? Comment below, peeps! And until next time, happy baking!